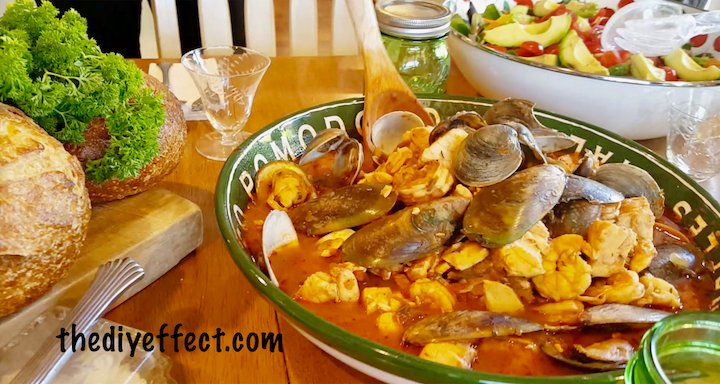 This Cioppino recipe is absolutely delicious! As amazing as it is, it can be altered to your liking. There are many Cioppino recipes and few of them are alike. 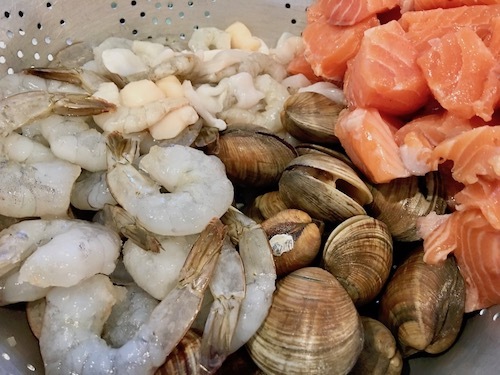 As a matter of fact, Cioppino got started in the late 1800s when Italian immigrants who settled in the North Beach neighborhood of San Francisco started this tradition. When a fisherman came back empty handed, they would walk around with a pot to the other fishermen asking them to chip in whatever they could. What ever ended up in the pot became their Cioppino. Simmer for 7 hours and refrigerate overnight is best. The following day bring mixture back up to hot and add fish about 45 minutes before serving.